Accordion Choker Pattern and Kits! 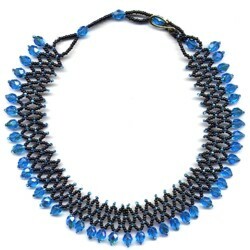 Beaded Accordion Chokers Pattern and Kit! Suitable for Beginners! Great Fun! 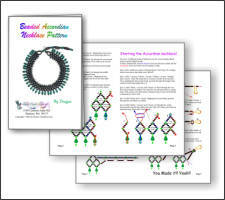 Beaded Accordion Chokers Patterns and Kits! Lots of fun, and really easy, too! These are great Beginner Kits. Finished this necklace fits a 13 to 17 inch neck. 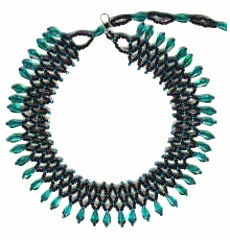 50 Dangle beads. The type, depends on the kit! Teal Pattern and All 5 Kit!